Easter Sunday at Concordia Lutheran Mission, of which I am the pastor, was not good in terms of attendance, eight in all. With my expectations of seeing guests and visitors, as in the past, I was very disappointed which led to a major depression on the Day of Resurrection. I asked myself the question: What did I do wrong? This is a question many a pastor asks again and again in a society that measures self-worth by success alone, certainly not by grace alone. Pastors can forget by “grace alone”. I let a couple of people know about my disappointment which was wrong of me to do because they had celebrated the resurrection of our Lord Jesus Christ, even if I had tripped myself up. As I read on Facebook, Easter reports of great music, great cathedrals, looking at pictures of filled Sanctuaries, I only aggravated my disappointment. In an earlier post, on prayer and feelings, using one of C. S. Lewis’ Screwtape Letters, I wrote on an important Biblical and Confessional topic: prayer is based on God’s Word not on our feelings and emotions, as is faith, as we can see rereading Hebrews 11. Easter Sunday was not for me about the risen Christ Jesus, but for me it was about me. I was looking the wrong way. I failed. I realized anew that I am a sinner. In a home bound call at a congregation where I was new, I did what a pastor is suppose to do: preach and administer the Sacrament of the Altar. When I finished, the woman exclaimed, “This is just like Church!” No organ but the harmony of the Gospel. No vestments, but our Christening robe of Baptism. No Easter lilies, but the Easter message. No crowds, just 3 of us, 2 or more is enough of the faithful for the Lord (Matthew 18:19). Sometimes, I think all that other stuff is a crutch as I found out this past Sunday when it wasn’t there. Or it can be what it should be, a flowing forth from the Font of all blessings: He is risen! 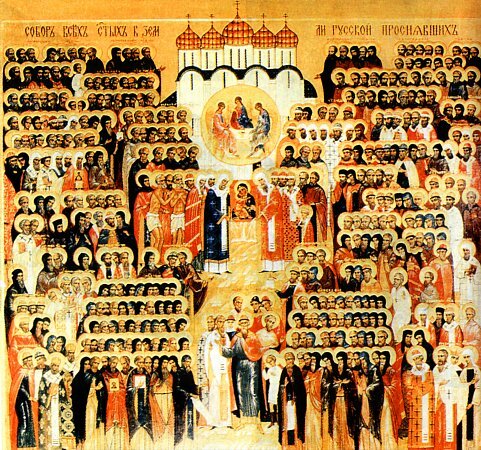 In the Hall of Heroes of the Faith, note that all the saints therein were looking forward in hope, in the hope of Christ to come. They had no cathedrals, except the Temple not made with human hands: Jesus Christ (John 2:21; 1 Corinthians 3:17 ). We pray many will hear the Word and come to faith. But if faith is only for this world, or even for our congregation alone, then we are of all people the most to be pitied: but Christ is raised from the dead (1 Corinthians 15:18-20). It is clear from Hebrews 11: Faith not only clings to Christ for what He has done for us but what He will do: Thy Kingdom Come, based upon the Rock of our salvation,what He has done from womb to tomb to the Resurrection.